What a year it has been. Students have achieved more than anyone could have ever imagined; faculty have left their footprint on hearts and fueled dreams; and alumni have supported their alma mater through all the ups and downs. This year brought some of the greatest triumphs in our school’s history—and with them came great challenges. Saint Mary came together as one family in celebration and in loss. The mission of Saint Mary reached hundreds around the world and hundreds more right here in the local community. In 365 days, USM has grown, united, shared, grieved, loved, prayed, and become stronger. Men’s Basketball Team had their first 2,000 point scorer in the history of the program. Guard Grant Greenberg of Leavenworth, Kan. hit his 2,000th point in the team’s upset win over #11 College of the Ozarks. point record set by KU’s Danny Manning. Event, “The First Visual Presidency: How Abraham Lincoln Used Photography for Politics.” David C. Ward, senior historian at the Smithsonian National Portrait Gallery, explored the important role photography played in Abraham Lincoln’s political career and legacy. A total of 110 students attended Senior Success Day—a day dedicated to helping seniors transition to their next step after graduation. The day included a keynote called “Top of Mind: The Uphill Journey from Heart to Head” by John Hall, co-founder and CEO of Influence & Co.; a luncheon with faculty, staff, alumni, and recruiters participating as mock interviewers; a workshop from former Saint Mary Board of Trustee Irma Napoli on “Negotiating the Job Offer;” a graduation fair; and a station for professional headshots. Living the Saint Mary Mission in Mexico! Another amazing night went down in history! 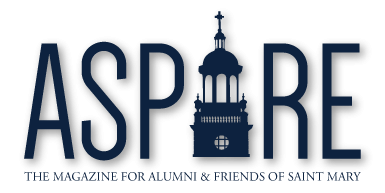 USM celebrated the 13th anniversary of SpireFest, the largest annual scholarship fundraiser at the University of Saint Mary. SpireFest 2016 brought together over 400 guests— raising more than $180,000 for USM student scholarships. As a part of the First Year Experience course, all freshman are required to complete a minimum of 15 service hours at an assigned community partner location. This year 128 freshman completed service—totaling 1,393 hours! Saint Mary celebrated Commencement in the McGilley Field House. Families and friends, and USM faculty and staff gathered to congratulate 414 graduates—a group composed of 221 undergraduate degree recipients, 154 master’s degree recipients, and 39 doctoral degree recipients. Graduates hail from Kansas to California, from England to Kenya. – Head Coach Chuck Kearney, a seasoned Division I collegiate coach. All Macs and Wacom tablets in Xavier 206 were replaced—along with being updated to the Creative Cloud (major advancement for USM art students). Six teams qualify as NAIA scholar teams: men’s and women’s cross country, women’s indoor and outdoor track and field, women’s soccer, and softball. Teams must have a minimum 3.0 collective grade point average to earn the honor. Sophomore Lydia Paterson, a biology major, competed at the Summer Olympics in Rio for 10m Air Pistol this August! She is now the youngest-ever Olympic pistol shooter in history. Saint Mary is one of only a handful of American universities with a formal matriculation ceremony. Among institutions of higher learning, the tradition of a matriculation ceremony dates back to the 15th and 16th centuries. USM began holding its version of the welcoming ceremony in the 1980s. Named a Five-Star Champions of Character institution with gold status by the National Association of Intercollegiate Athletics (NAIA). USM is one of only 19 schools (out of more than 250 colleges and universities) to earn gold status this year! 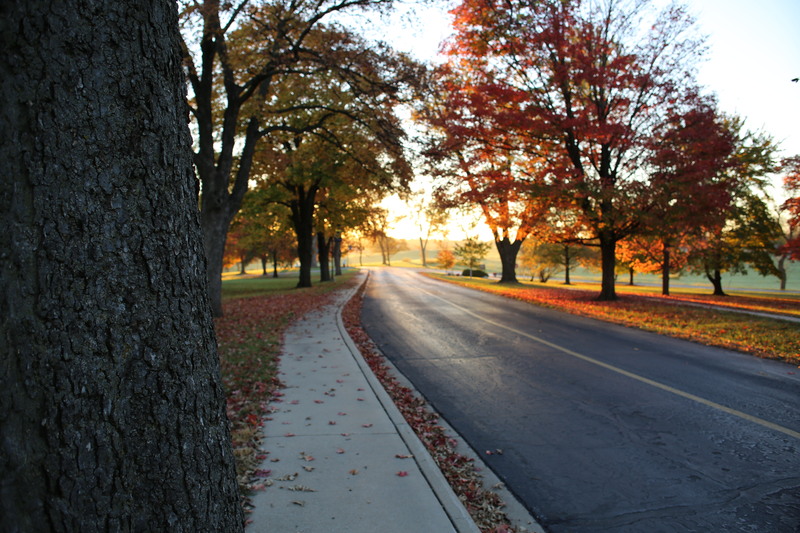 Named a “Best Midwestern College” by the Princeton Review* for the 12th Straight Year. Art Program Director Shelby Prindaville was selected to for a prestigious exhibit at Boston Children’s Museum called “All Things Animals!” This mixed-media exhibit created a space inviting and welcoming its young visitors to look at, identify, walk, talk, and play like the animals in the gallery. Sr. Rosie Kolich, chair of the English, language, and digital communications department, revived a tradition of taking English majors to the Kansas City Renaissance Festival in Bonner Springs. A classmate, a teammate, a friend, a son, a brother—on Oct. 1, Marcus Mondaine was taken from this world too soon by a senseless act of violence. Marcus was a giving and friendly 23-year-old just weeks away from graduation in the Health Information Management program at Saint Mary. He was a straight “A” student who cherished his family and had an incredible love for basketball. He was unselfish and kind, both on and off the court—and described by his classmates as one of the nicest people they’d ever met. The USM community gathered to mourn this loss with the Mondaine family—while also celebrating and cherishing the 23 years of memories made with Marcus. The Global Health class raised $1,167.40 in support of the Sister of Charity of Leavenworth Water Filter Project. That’s enough to fund more than 20 filters (each produce around 1,000,000 gallons of water) for a school in Peru. This event honored the memory of passed loved ones. Students decorated altars with pictures, mementos, and flowers, while enjoying pan dulce and hot chocolate. A special documentary by award winning director Lourdes Portillo called “La Ofrenda” was also shown. Following a school best 8-3 football season (five-win improvement from 2015), including a tie for second place in the Kansas Collegiate Athletic Conference (KCAC), the Spires were honored with 17 All-KCAC Honorees—including a Coach of the Year recognition going to Jay Osborne, U’14. • Women’s cross country took 28th in the country (a record best!). Junior Nishimwe Maria-Goreth, born in Burundi, mailed three full boxes of donated school supplies to Burundi’s Youths of Tomorrow organization. The collection was supported by Accounting Professor Jessica Vega-Anaya and her accounting students. USM Gathered as a family to bless the Nativity.